Home | Janet Dolgin, J.D. Professor Dolgin has a B.A. in philosophy from Barnard College, a Ph.D. in anthropology from Princeton University and a J.D. from the Yale Law School. Her research combines insights from anthropology and legal scholarship. Professor Dolgin is the director of the Gitenstein Institute for Health Law and Policy and co-director of the Hofstra Bioethics Center. In addition to her position at the law school, she is a Professor of Science Education at the Hofstra Northwell School of Medicine and is a faculty member in the University’s Public Health Program. Before coming to Hofstra she taught anthropology at Columbia University and served as an associate at Davis, Polk & Wardwell in Manhattan. In 1988-89 she was a Fulbright Scholar at the Hebrew University in Jerusalem. She has also held appointments as a visiting professor of law at Cornell Law School, Boston University School of Law and Cardozo School of Law. The Bioethics Center, which Professor Dolgin co-directs with Dr. Sam Packer, and the Gitenstein Institute are engaged in a variety of innovative projects that aim to broaden access to health care in the local community and to create models that can be exported to other communities in the nation. Professor Dolgin and Dr. Packer have developed a Clinical Bioethics Certificate Program as part of the center’s work. Inaugurated during the 2014-2015 academic year, the program provides training in bioethics theory and skills to attorneys, clinicians, clergy, social workers, scientists, law students and medical students. Students who complete the program successfully receive a Certificate in Bioethics. The Gitenstein Institute for Health Law and Policy, which Professor Dolgin directs, trains law students to create positive change in the nation’s health care system through innovative and multidisciplinary learning experiences. The institute offers Fellowships and Associateships to students interested in pursuing a career in health care law and a concentration in health care law that involves research, education and community outreach. 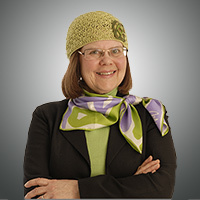 Professor Dolgin’s books include Jewish Identity and the JDL (Princeton University Press), Symbolic Anthropology (co-edited, Columbia University Press), Defining the Family (NYU Press) and Bioethics and the Law (co-authored with Lois Shepherd), third edition (2013); fourth edition in preparation; Wolters Kluwer (expected publication 2018). Defining the Family examines the complicated, often contradictory, responses of the law to the radical changes that have altered the scope and meaning of the American family since the start of the Industrial Revolution. Bioethics and the Law, co-authored with Professor Lois Shepherd, is a casebook intended for use by practitioners, in law school teaching and in courses in bioethics. The third edition of the book is structured around two sets of concerns. One set primarily affects individuals, and the second set primarily affects communities. In addition to topics generally covered in accounts of bioethics (e.g., reproduction, dying), the book includes analyses of public health (including bioterrorism), social justice and access to health care, the business of health care and conflicts of interest faced by health care providers. The book’s fourth edition is expected to be published in 2018 (Wolters Kluwer). Professor Dolgin has written many articles that have been published in a variety of law reviews, other scholarly journals and edited volumes. Much of this work has analyzed legal responses to shifts in the family (including those occasioned by developments in reproductive technology and by the “new genetics”), the legal parameters of bioethical conundrums, or the changing structure and delivery of health care in the United States and elsewhere. She has authored a series of articles analyzing the nation’s longstanding resistance to providing comprehensive health care coverage to everyone. Her most recent work focuses on medical necessity and advance care planning. Professor Dolgin lectures widely in the United States and abroad about health care law and bioethics.